You are here: Home / Freelancing / Should I accept an Offer if I’m Paid less But Get Industry Exposure? My client is offering me a position but he wants me to work 3 to 6 months on a very low pay as I am not very fluent in the technology he is offering me the position. Is it normal and should I accept the offer? Without knowing any specific details, about the technology or your overall experience, the short answer is yes it is completely normal to work for slightly less amount for gaining experience or have an industry exposure. There are other aspects to consider. So let me also share them to help you take the decision. What stage of the career are you in? Can you get the basics of life moving with the reduction in pay? If your answer is yes. You should go for it. Can’t you do it all by yourself? What it means is, can you continue doing what you are doing and still learn the new technology? As an example, if you are a WordPress developer and want to consider WooCommerce and need some industry exposure. If you are not offered a better pay, then how about going for the less work as a WordPress developer and use the extra time to learn WooCommerce. Once you have some experience, you can go for full pay instead of less pay and get the exposure as well. This is how I do it and it is a really helpful way of moving to the new technology. I start working less on one technology and move to the other technology for my own sites. It helps me get my sites moved over to the new technology as well as get some industry exposure. It the meantime I work on contributing to the open source by working out some plugins I may need that aren’t readily available. As I share them for free, I can use them as a reference to prove my expertise. Read: College students can Make Money Programming Remotely. How Important is the Industry Exposure? The next important thing one should consider is, how crucial is the hands-on industry experience is? As a freelance web developer, there isn’t too much concern about industry exposure but in other areas of development, industry exposure can be critical. Will he industry exposure help you demand better salary or better freelancing rates as you move higher on the experience ladder as you gain more experience in the new technology when compared to what you are already working on? 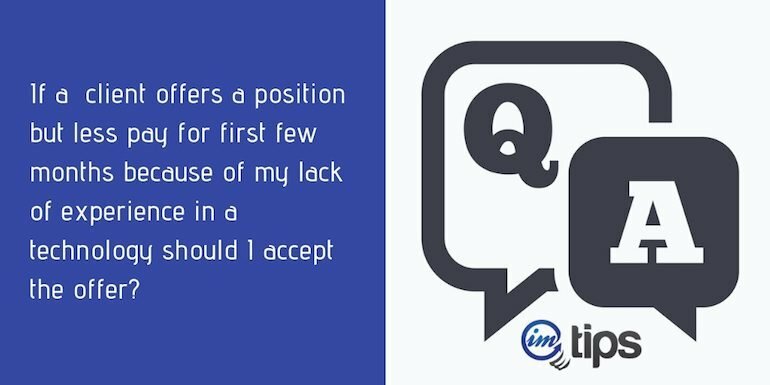 Apart from everything else, there are few more questions that can help you answer the original question. How much do you love the new technology when compared to the one you are already working on? 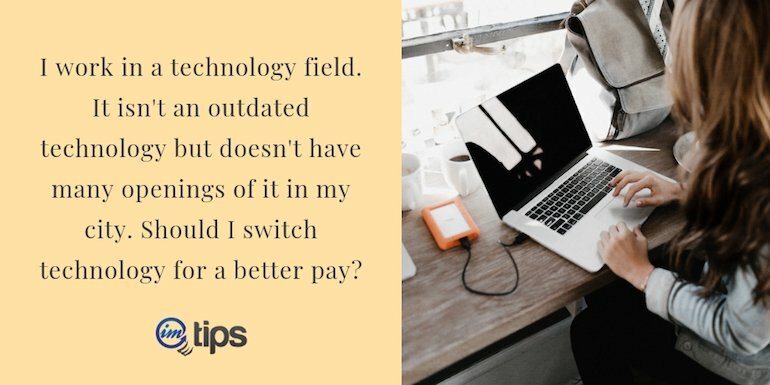 Are you moving to the new technology because you love working in it or it is only as a career choice? Can it also help you become an entrepreneur or freelancer in the long run? For example, if you plan to move from C++ or Java to PHP. Are you moving to things you love or you just want to love what you do? Focus on doing things you love more than loving things you do. If learning something new isn’t going to make things tough for you, it is always a good choice to make a move. In the long run, if the technology doesn’t pay you many times over, the experience surely will.